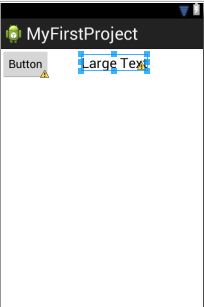 What are Layouts in Android ? -> Its is the backscreen on your page which lets you to lay out your elements like button ,checkbox in a specific way or order . E.g. If you have ever played the game of marbles shown in the below image . 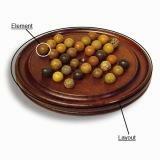 You have to place marbles only in the round concave curves on the board . You can't place the marbles on the plane surface . The layout here is the board with semicircle depressions and the elements are the marbles . The layout (board) decides where to set the elements (marbles) . Note : The XML page we design is itself a layout as a whole . 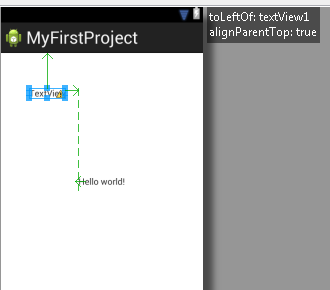 Layouts can be dragged directly from the palette found in Eclipse . 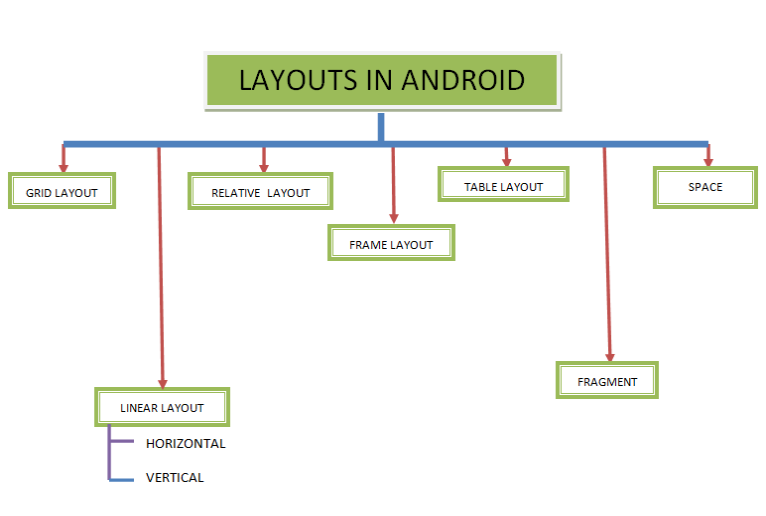 There are 7 basic types of layouts in Android programming . 1) Grid Layout : It enables to display the elements in a Grid shown in below diagram . Elements are stored along boxes called grids . The API level required for Grid Layout is <14 , hence You must change the minimum sdk version to 14 android:minSdkVersion="14" in AndroidManifest.xml file . Drag the Grid Layout from the palette to the left of Hello World and see the change in the code . The attributes are self explanatory. 2) Linear Layout : Elements are placed in a straight line (horizontal or vertical) . a) Horizontal Linear Layout : Elements are placed in the a horizantal way side by side . 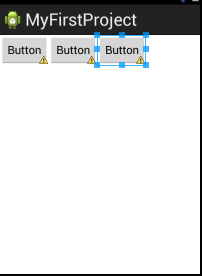 Here 3 Buttons are placed one after other in a horizontal manner (in a straight line). The code is as follows . Since the default Linear Layout is horizontal , if there is no orientation parameter in the LinearLayout attributes it says that the Linear Layout is Horizontal . br /> b)Vertical Linear Layout : The elements are placed in a vertical way side by side . The only change of attributes between horizontal and vertical Linear Layout is the orientation attribute is vertical (black colored in the code) . 3) Relative Layout : It lets us to display the elements relative to the margin of the page or other elements previously present on the page . 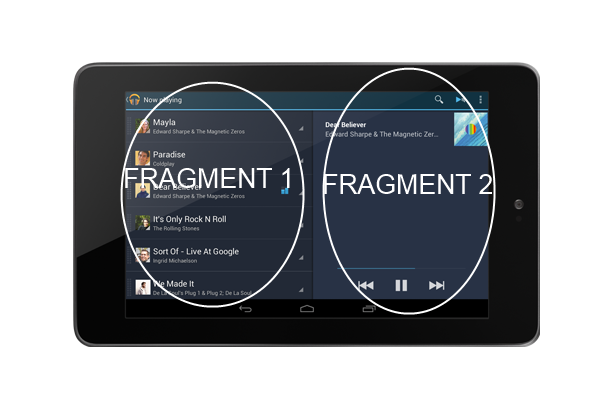 4) Frame Layout : It is used to reserve a particular space for a single element . 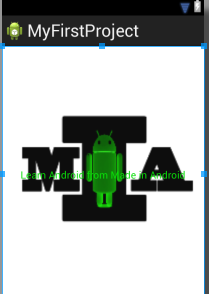 android:text="Learn Android from Made in Android"
By using a Frame layout I have reserved the whole page for the image logo.png since the layout width and height fills the page. 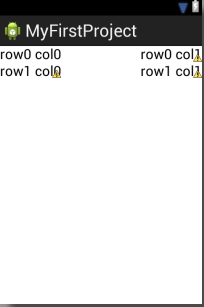 But when I try to put a TextView in the same FrameLayout I found it to be overlapping the image that also in the center since the gravity of the TextView is center . 5) Table Layout :It is used to make a Table . It contains an element called TableRow which is like a horizontal linear layout but can only be used inside a TableLayout . 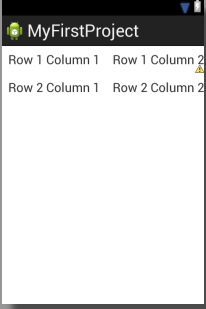 Any number of columns and rows can be made by using TableLayout and TableRow . It is not possible to show the code of Fragment here since It contains high complexity and will be only understandable in another post. 7) Space :It is used to leave empty space between elements . we have discussed all the 7 basic layouts in Android Programming . 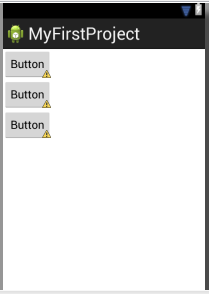 It is possible to use one Layout under another as many times as possible. 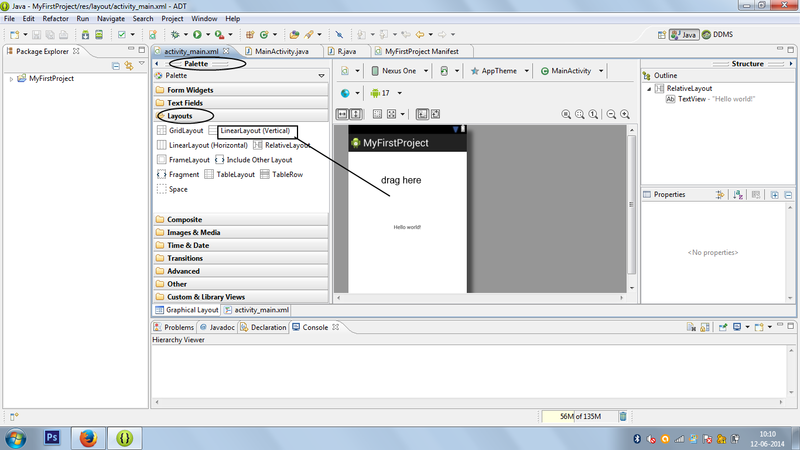 Custom layouts can be used by including external libraries in our projects .